Buying a car seat for your newborn or child is one of the most important decisions you’ll make as a parent. Safety is a top priority but practicality, comfort and value for money are also key things to research. We’ve looked at everything you need to know before you make your decision. What’s the law around child car seats? By law children must use a car seat until they’re at least 12 years old, or 135cm/4ft 5in tall, whichever comes first. Children aged 12 and over (or who are taller than 135cm) must wear a seat belt. Failure to do this could see you face a fine of up to £500. Child car seats must be approved – either to Regulation 44 (R44) or the latest, Regulation 129 (i-Size). R44 seats are approved in 1 or more groups based on your child’s weight, from group 0 and 0+ for newborn babies, up to group 3 for children weighing 22-36kg. Check your child’s weight before buying any child seat and check it regularly as they grow. R129 (i-Size) seats are approved up to a maximum child’s natural standing height. I-size seats are only suitable for use in cars with Isofix fittings and which have i-size approved seating positions. Car safety laws are different around the world so if you’re travelling abroad with your family always make sure you’ve checked local laws. How safe is your car seat? Safety is bound to be your top priority when choosing a child car seat. Compare the different safety features available. These include adjustable headrests and crash test results, which look at front, back and side impact. 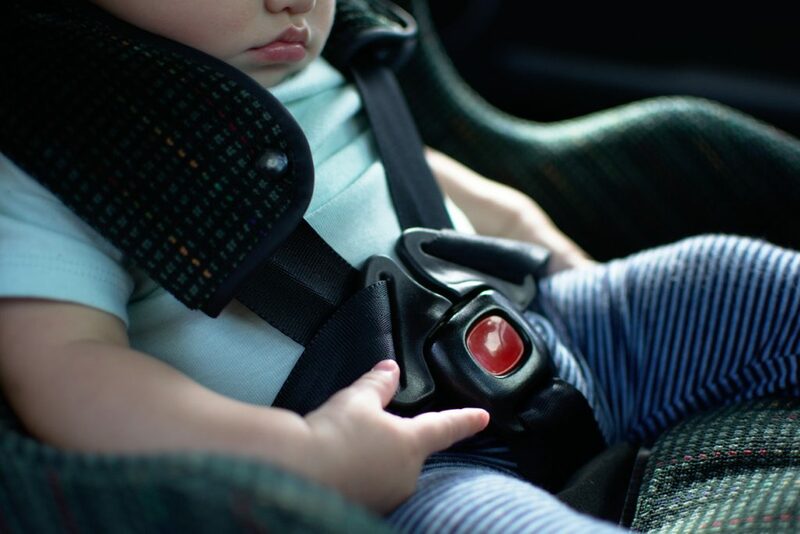 You also need to think about the comfort of your child in the seat – how much leg room do they have and how easy is it to fasten the straps or seat belt? Child car seats must be fitted correctly and the child must be strapped in to the seat correctly in order to get the protection promised in any crash tests. Will the child car seat fit in your car? Not every child car seat will fit every model of car so it’s important that you check compatibility with your current car. Or if you’re buying a more family-friendly car, make sure it has the right fittings for you. Isofix child car seats fit directly into the car itself rather than you having to thread them through the seat belt, although not all cars, especially older ones, have this. These systems are considered safer but this isn’t always the case with every model so do your homework. If you have 3 or more children you’ll also need to look at whether you can fit all your child car seats safely into your car. Aimed at children aged 4-12, the Diono Monterey 2 has been designed for comfort and safety. Expanding sides grow with your child, the deep side wings and head rest offer protection and comfort, while metal reinforcements provide side impact safety. It’s Isofix equipped and comes in a variety of colours. Dual cup holders are a nice touch and will hopefully minimise drink spills. It’s reasonably priced although the covers are hand wash rather than machine wash. Need a child car seat that will last you a few years? The Nuna Aace aims to take toddlers all the way from the age of 3 to 12. This child car seat is quite large and bulky, which might be a problem if you have to fit more than one child in the car, but it’s deceptively lightweight. With 10 different headrest positions, 3 seat depths and 8 recline options, it’ll grow with your child and you can use it with a seat belt or Isofix fittings. Scoring well in crash tests, with side impact protection pods, this is a safe option, with plenty of padding, providing comfort even for longer journeys. Suitable from birth up to 13kg/ 29lb (12-15 months), the Maxi Cosi Pebble Plus is i-Size compliant and Isofix compatible. With a Side Protection System, impact-absorbing material, padded headrest, and a ‘baby-hugg’ inlay, it’s safe and comfortable for your baby. Lightweight, it also easily clicks into a large range of pushchairs including the Bugaboo, MaxiCosi and iCandy when used with adaptors, which are sold separately. A removable and machine washable cover makes it practical and simple to use. A premium option, the Britax Dualfix i-Size aims to offset price with longevity, taking your child all the way from newborn up to the age of 4 (or 105cm tall). Designed on a 360 degree swivel, it can be used both rear and front facing (once your child is 76cm or over). It has 12 recline positions and extended leg space, with a flat lying position for your newborn. Easy to install, with Isofix, it performs well in all crash tests. The Cosatto Come & Go Isofix Group 0+/1 is packed full of safety features including deep side impact protection and a reinforced shell construction. Built to last your child from birth to the age of 4 (18kg), an ‘anti-escape system’ stops even the most determined toddlers from wriggling free. The seat can be rotated to the side to make it easier to get your child in and out of the car and then locks back into position for travel. Pop-off washable covers make it easy to keep clean. If you’re looking to upgrade your family car, AA Car finance can help you afford it. Take a look at our easy-to-use online tools to help you explore your eligibility for finance and calculate how much you may be in line to lend. All prices are correct on date of publication.